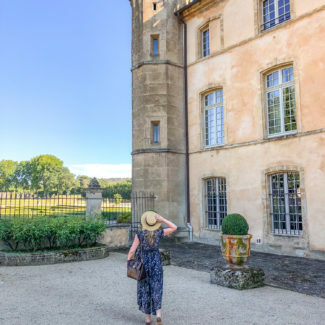 Charles agreed to let me plan a side trip during our time in Europe. While Oktoberfest is being celebrated in Germany, truffles are being hunted and wine is being harvested in Italy. 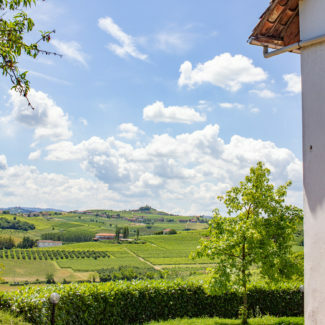 We rented a car and Charles fearlessly drove through the Alps, and we headed for Piedmont, a region in Northwestern Italy known for food, wine, and truffles. A little bit of research led me to Tra Arte e Querce, an inn and restaurant owned by Ezio and Clelia. Ezio is one of the most famous truffle hunters in Italy and he arranged for us to join his son Phillipe on a truffle hunt. 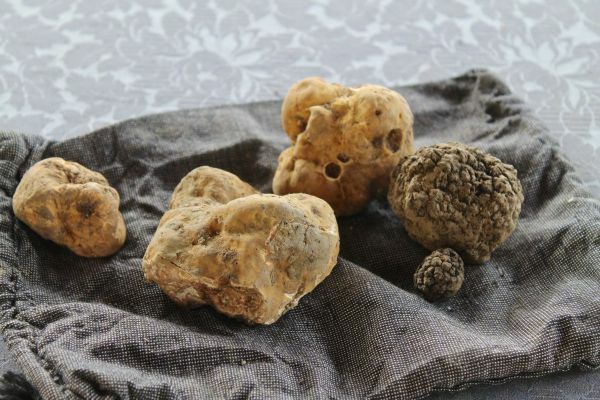 Piedmont’s truffle seasons begins on September 21, and spans until January, with November generally being the most successful month. So we were truffle hunting in Italy at the start of the season. Both white and black truffles are found in Italy, and white truffles are the most precious costing about $100 an ounce in the US. 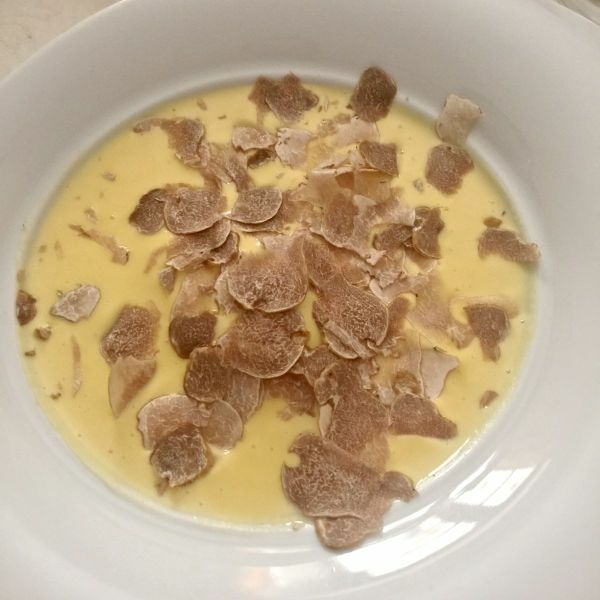 White truffles are so valuable that Sotheby’s New York has actioned them. Truffles grow naturally in near the roots of certain varieties of trees (linden, oak, beech, birch, hazel, and poplar). 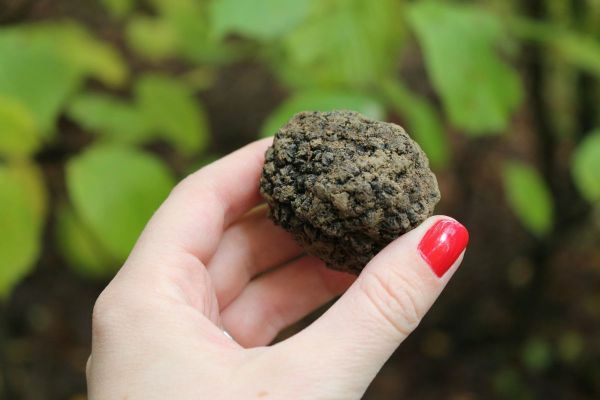 Truffles can be cultivated, but it is a process that takes nearly a decade, and it isn’t common today, and most truffles grow naturally and are found by truffle hunters. When we arrived at Tra Arte e Querce, Ezio took a look at our sneakers and handed us rain boots and walking sticks. 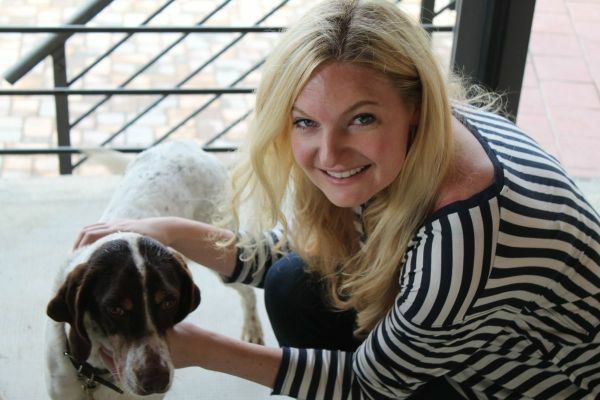 Next we met Lola, their best truffle hunting dog. The dogs are trained to hunt truffles at a young age, and Ezio and his family train their dogs themselves. Dogs, not pigs, are used since they can dig deep enough to help unearth the white truffles which the Alba region is known for. Lola got to work as soon as we entered the wood beside the inn. 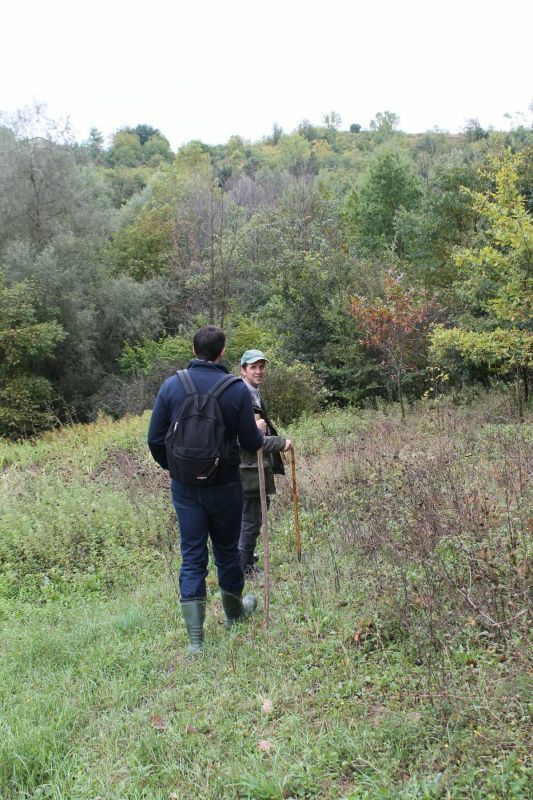 Phillipe explained that while his family owns the land, anyone with a truffle hunting license can hunt anywhere, so other truffle hunters are welcome on their property. Just after our hunt began Lola zeroed in on a spot and started to dig. Phillipe ran over, told her to stop digging and handed her a treat. 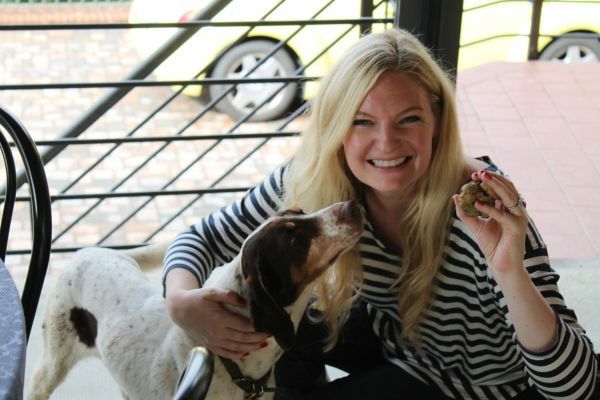 The goal is to have the dog dig to indicate where the truffle is, without harming the truffle. 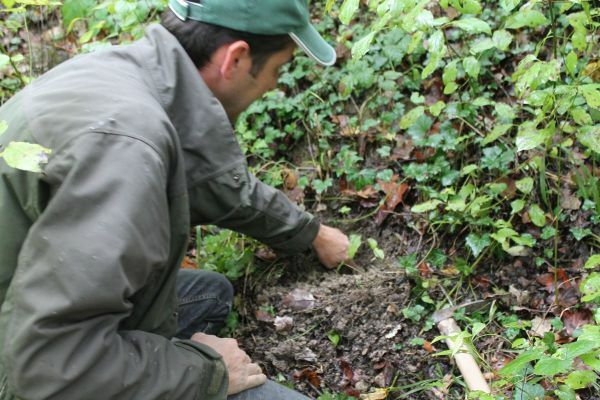 Phillipe continues to dig and quickly finds a small black truffle about the size of an acorn. Several times during the hunt Lola would circle around an area and change her mind. Phillipe said that perhaps there was something there, but that she didn’t like it, maybe a truffle that had not yet matured. This fascinated me. Lola is so well trained that she only goes after mature truffles. Lola found two white truffles during our hunt. 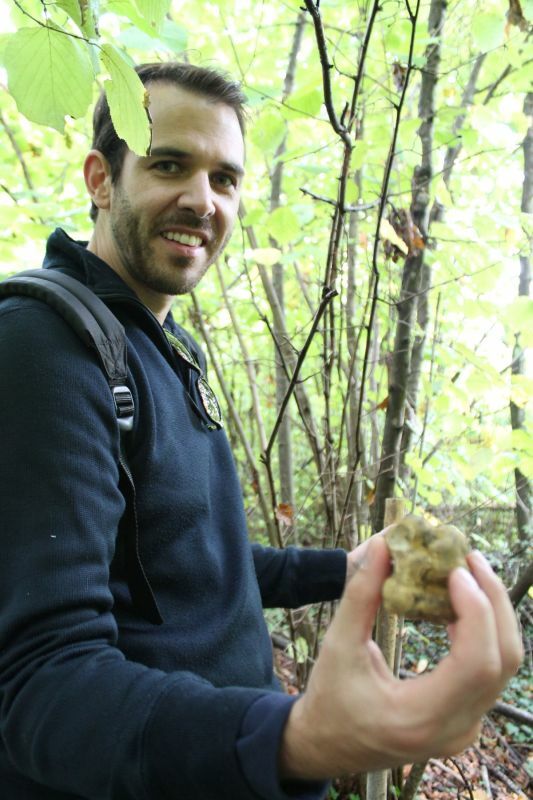 The white truffles grew deeper than the black truffles, and they happened to be bigger. When these truffles we located, Phillipe would bring Lola back to continue digging a little to help guide him to the truffle’s exact stop. Phillipe dug for the truffles like he was excavating ruins. He gingerly dug, carefully breaking the soil with his hands or using a small spade. It is important not to break the truffle when digging for it. Phillipe told us of the time his father found a giant truffle that weighed 1 kilo (about 2 pounds). A massive hole needed to be dug to unearth the large truffle that ended up selling for 5 figures at an auction. After an hour, and five truffles, it was time to head back. We removed the boots that were indeed covered in mud, pulled leaves from my hair, and Lola drank from a bucket of water. Enzo came out to greet us and he was quite pleased with the results of our hunt. After admiring the truffles, they went into the fridge. 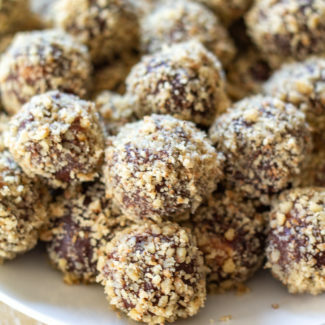 Truffles need to be refrigerated, and consumed with a week or so. 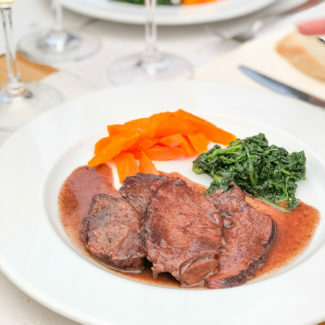 White truffles are never cooked, but are sliced thinly over your meal. An enthusiastic Charles decided that we needed to have lunch at the restaurant, and it was a meal we will never forget. It was a little early for lunch, so we received lots of personal attention. First I tried a Dolcetto wine from the family’s vineyard, the wine was an easy to drink red that had a nice body and a slight earthiness. Charles, who usually goes for Pinot Noir and lighter reds loved it. I ordered plin, small ravioli that are made in Piedmont, and one of my all time favorite foods. Plin can be filled with mushrooms, meat, or cheese. 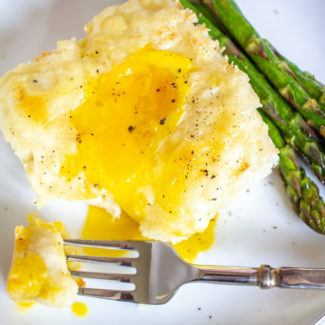 These plin were made with cheese and topped with a sage butter sauce. 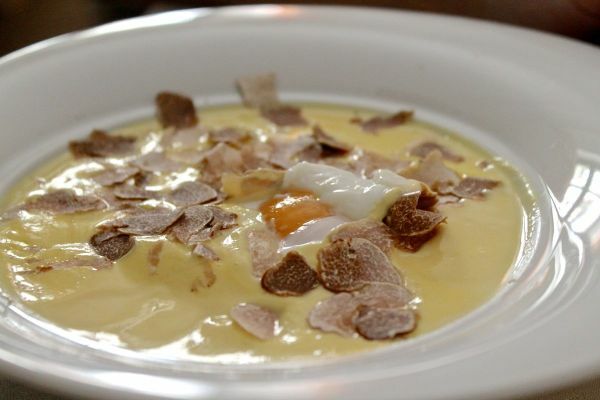 Charles ordered “Uovo in camicia con fonduta”, a cheese fondue served with a poached egg. It was almost like a cheese soup, and it was incredible. 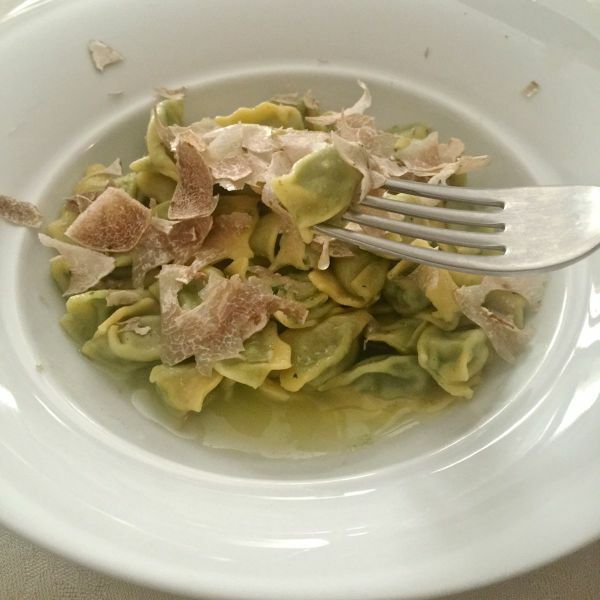 We had fresh truffles shaved over both of our meals. There is nothing like real fresh shaved truffles. Truffle oil is an unfair substitute that usually isn’t even made with truffles. 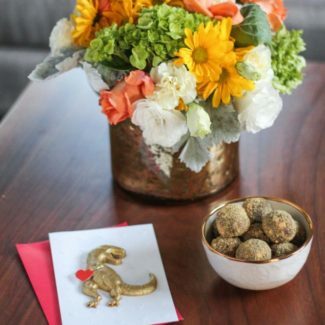 Fresh truffles are tender with earthy flavor and are loaded with umami. After our meal Clelia and Phillipe brought out a family album showing photos of the family and their dogs. 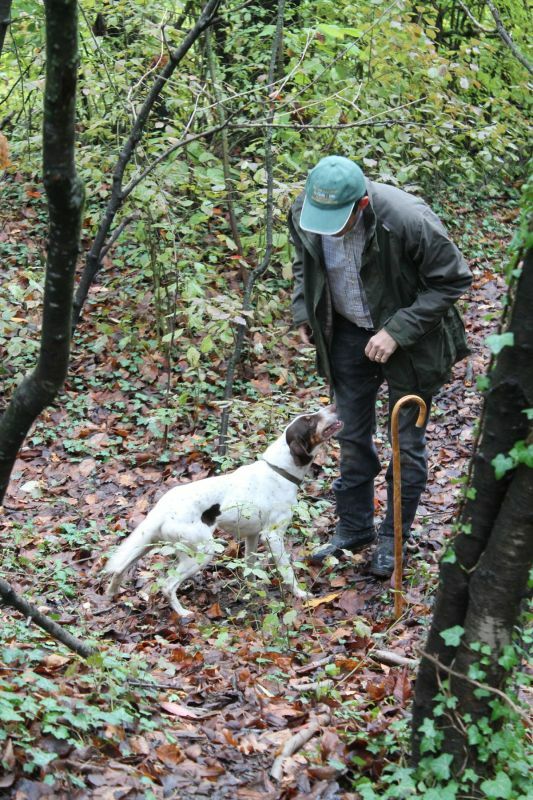 It was amazing to see how truffle hunting is a family tradition. 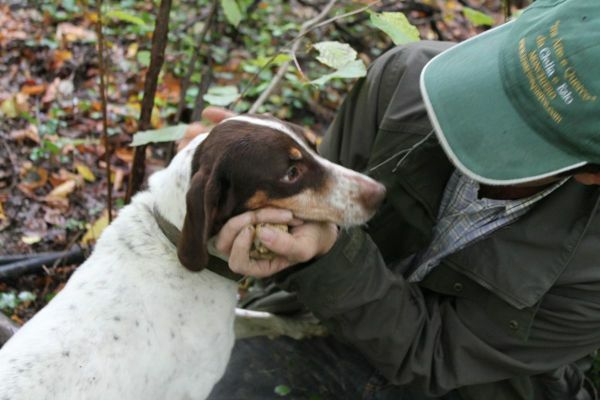 For more information on truffle hunting, visit Tra Arte e Querce. I highly suggest dining at the restaurant, and I am sure that the inn would be a lovely place to stay. Enzo, Clelia, and Phillipe were so welcoming.